Paying workers above minimum wage is just one way Walmart is trying to shed its negative image, says its EVP of corporate affairs. Leading a retail revolution is another. Dan Bartlett, EVP of corporate affairs at Walmart, leads comms for a company that polarizes opinion like few other organizations around the globe. As you approach Walmart’s offices in Bentonville, there is little to suggest you are about to enter the headquarters of the largest company in the world. The utilitarian complex is overshadowed by an adjoining Tata Consulting Services building, and the occupants of Walmart’s Sam’s Club division can claim bragging rights in terms of office envy after moving into an attractive new facility nearby in 2009. But the impact of the company on the small Arkansas town is clear at the start and end of the day when the highways of Bentonville become congested for 90 minutes as Walmart’s army of workers make their way to and from the office. Three hundred of Walmart’s associates, as the retail behemoth refers to them, work for EVP of corporate affairs Dan Bartlett, who assumed the role in 2013 from high-profile incumbent Leslie Dach, following the latter’s seven-year tenure. Dach left in June 2013 and became a senior counselor at the Department of Health and Human Services in July 2014. In Walmart, Bartlett joined a company that polarizes opinion like few other organizations around the globe. In some ways, it is incredibly popular. The retailer’s job vacancies attract thousands of applications; the majority of its 245 million customers are women; and it achieved annual sales in 2014 of $473 billion compared to $465 billion the prior year. But, despite this, it also attracts incredible opprobrium from labor unions, mom-and-pop stores in local communities, environmentalists, high-profile individuals such as New York Mayor Bill de Blasio, and activist bloggers. Even Bartlett admits that, from the outside, it is easy to pin accusations of arrogance on Walmart. "It was only when I arrived that I said, no, it is grounded in this deep sense of humility, willingness to think critically of itself, and improve how we do things," he says. "We haven’t solved it all, but the portrayal articulated by our critics is way off beam." 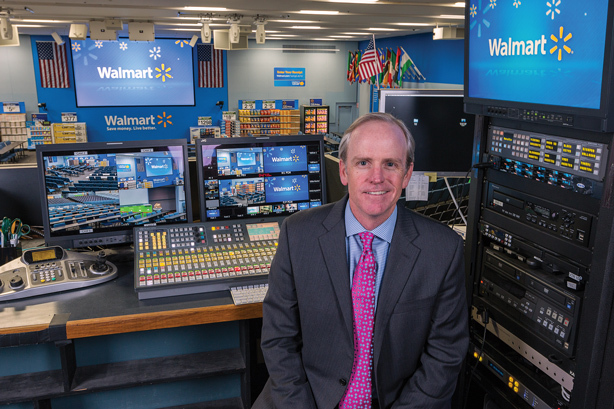 This image of a humble, self-analytical shopkeeper might grate with its detractors and be difficult to offset against the incredible might Walmart wields as the largest company in the world, but Bartlett insists it is fundamentally woven into the 52-year-old Bentonville retailer’s DNA. "The culture here is one of listening to our critics," he explains. "It dates back to the founder of this company, Sam Walton. He was never satisfied and, despite all his success, he was always wondering what we could be doing different or better. If that meant copying a competitor, he would." It is certainly true that the reputational issues facing the Walmart Bartlett joined were very different to the challenges greeting Dach on his arrival in 2006. Walmart reached a watershed in 2005, skewered by attacks from environmentalists about its supply chain policies; accusations about equal pay and opportunities for women, culminating in a high-profile lawsuit, and low pay across the board; plus the hardy perennial about the destructive impact of its outlets on local stores in communities where it opens up. Sales were stagnant and stock was suffering: The company faced a severe reputational crisis on multiple fronts. "When Leslie was recruited, Walmart was beginning the journey of engaging in a strategic way," adds Bartlett. "We were later to the dance than we would have wished. He was building a capability and strategy of being more willing to go out and aggressively talk about the company, who we are, and what we’re trying to accomplish outside our stores." Bartlett accepts he hugely benefited from the initiatives Dach helped implement, from supply chain sustainability to low pay to women’s economic empowerment. "It gave me the opportunity to come in and build on that," he says. "It’s a different time now, though some of the issues we face are similar. But I give Leslie a lot of credit for the foundations he put in place." Bartlett and Dach shared similar backgrounds. Both served as senior political advisers: The former as a senior counselor to President George W. Bush and head of the White House press office, the latter as senior comms adviser for the Democratic National Committee and special adviser to the Clinton administration. Bartlett joined Walmart from a senior agency role at Hill+Knowlton Strategies; similarly, Dach transitioned from vice chairman of Edelman. "Being the largest company in the world is unique. It brings with it a lot of attention and scrutiny – and opportunity," says Bartlett. "The intensity of that is somewhat similar to politics. We get twice the cover-age of all of our competitors combined. Luckily, in my past profession you develop a thick skin for that type of scrutiny." Bartlett also came on board six months before a change in CEO, with Walmart International leader Doug McMillon taking over from Mike Duke in February 2014. "But the transition process here is unique. There have only been five CEOs in the company’s history," Bartlett adds. "Mike was in the office next to me this past year to help that transition. That’s rare in business." At the time of Bartlett’s appointment, Duke highlighted the new recruit’s "personal integrity, strong professional skills, and broad understanding of world affairs" as reasons why he would be the "ideal leader to continue moving us forward. He is known for being straightforward, a good listener, and collaborative – all traits that will serve him well at Walmart," added the then CEO. It was listening that ultimately led Walmart to address its perception as a low payer. It may surprise some that only 6,000 of its 1.3 million US employees earn minimum wage and, come February, the company is expected to reduce that to zero. In addition, 50% of its workers are full time, compared to an average of 20% to 30% at some retail competitors. "On average, we pay more than $10 an hour to our associates in the US," says Bartlett. "Most people think the vast majority are making $7.25. Rest assured, nobody at Walmart will be making the federal minimum wage going into [FY] 2015." After receiving criticism for being a low payer, Walmart moved to ensure none of its US staff will be on the minimum wage as of February. Another message on which Bartlett and all at Walmart are consistent, and which they believe separates it from most of its rivals, is that there is a "full-time, highly professionalized, paid adversary [the labor unions] that wakes up every day finding ways to be critical of us" and has done so for the last 20 years. being a company in Arkansas." He credits Sam Walton’s son Rob, now chairman of Walmart’s board, and then CEO Lee Scott with changing the company’s approach to how it engaged publicly and recognizing the larger responsibilities it has as a major contributor to society, given its massive size and reach. "More than 60% of the US population goes into our stores in any given month," notes Bartlett. "We have a daily referendum on our reputation that is different to a lot of our competition and that is based on the performance of our stores and interactions with our customers." Walmart sources many of its products from China and has close to 400 stores in the country. It has a global sourcing HQ in Shenzhen. As part of its move to improve its reputation from 2005 onward, the retailer enforced strict environmental standards on its thousands of suppliers in a bid to be supplied 100% by renewable energy, to create zero waste, and to sell products that sustain its resources and environment. "We’ve been in China for a little more than 17 years, yet it still very much feels like a startup, and that is because of how much change has been underway [there] and in retail itself, both for local Chinese retailers and multinationals like us," says Bartlett. "It has evolved significantly, all for the better I believe." He claims the people with the harshest opinions on Walmart are "the ones who have most rarely stepped in our stores." "They believe what they read and not what they’ve experienced," he adds. "One of the lessons Lee Scott and the company took to heart [in 2005] was the need to break out of that DNA of keeping our head down, serving customers, and not worrying about what critics say – that can be misinterpreted as being arrogant." Bartlett hopes the reputation groundwork put in by others will enable him to concentrate on more forward-looking messages. 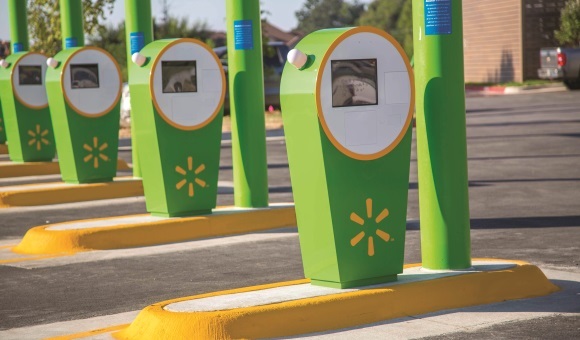 Retail is on the cusp of a revolution and, as the largest player in the sector, Walmart aims to lead this transformation. The whole nature of relatively new concepts such as Black Friday or Cyber Monday, and even e-commerce, are already becoming outdated. These activities are dovetailing, driven by mobile technology – and by customer behavior. "It’s not your parents’ Walmart," says Bartlett. "We have more than 3,000 associates at our global e-commerce headquarters in Northern California, made up primarily of data scientists and engineers working on coding to anticipate customers’ needs and fulfill them in new ways. It is the next frontier of retail." As well as in-store and e-commerce, customers are browsing in-store and ordering home deliveries via mobile. They are ordering online and picking up in-store. They are checking for best prices with Walmart’s Savings Catcher app. They want drive-through and same-day delivery. The retailer is even trialing a pickup grocery service at a mini-warehouse, not a store, in Arkansas, where shoppers pick up at their convenience with no delivery charge. Physical store builds are trending smaller in tandem with these trends. "Retail is at an inflection point in the speed of adoption of technology and the disruptive nature of those entering the marketplace, whether in the service industry, such as Uber, or other parts of the world, such as Alibaba," says Bartlett. "The competition landscape is changing in the speed in which customers’ expectations are getting higher and higher. Those who don’t keep up will perish. It’s a fascinating time." As the largest private-sector employer in the world, Walmart realizes that with great power also comes great responsibility. The retailer is aware that it can play a positive role in developing programs and training to enhance the skills of its entry-level staffers and contribute to society. But it also knows it’s never going to silence all its critics. "Whether you’re running for elected office or a business trying to grow your customer base, you can’t serve everyone," Bartlett says. "You can’t allow the vocal minority to dictate how you go about conducting business, but that doesn’t mean you don’t listen to criticism. We’re always trying to improve. I’d love to have the business of every American. But is that realistic? No." Your call: Will Walmart's wage hikes boost its reputation?